Cycling out of Poverty Foundation is a charity organisation based in the Netherlands and registered offices in Kenya and Uganda. The foundation improves access to income generation, education and health care by providing bicycles to farmers (and small entrepreneurs), students (and teachers) and health care volunteers. We believe that a bicycle can make a difference in this world for reasons of health, education, poverty alleviation, environment, etc. 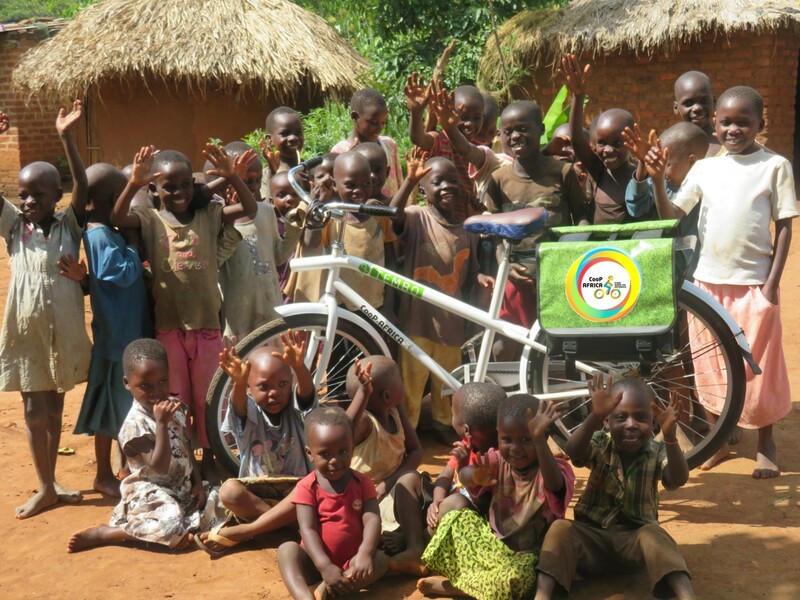 The bicycle provides possibilities for better access to income, education and health, and improves the socioeconomic position of African families. Besides, the bicycle is an environmentally-friendly mode of transport which provides opportunities for a sustainable society. That is why Bikeventures supports the bicycle projects of Cycling out of Poverty and donates ALL PROCEEDS to their work. Bikeventures Tours, Rentals and Safaris is a social enterprise of CooP-Kenya. All profits of tours, rentals, safaris, etc. are allocated for bicycle interventions of CooP-Kenya.